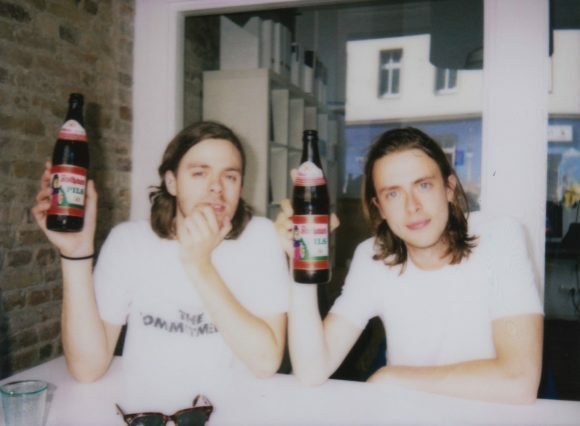 Earlier this month we got the opportunity to combine a trip to Berlin with an interview with Lawrence and Ollie from Beach Baby, so naturally, we took the chance. Read below to find out what the two of them have told us about the music industry, the perfect roadtrip soundtrack and their new album. So you guys are releasing your debut album this year. Is there one thing you can tell us about it that you haven’t told any other interviewers yet? Ollie: We were thinking of calling it “Easy Living”. But we won’t. Our drummer, Shep, would have liked to call it “Rock Bottom”. But we won’t do that either. Lawrence: I went through a period where I really liked listening to “Smoke Won’t Get Me High”. Ollie: I went through that period as well. Lawrence: It’s kind of different, when you take a step away from it all. I like it. So I went through that period where I used to listen to that one more than the others. But it changes. Is there going to be a tour in course of the album? Lawrence: There will be a UK tour, hopefully Europe as well, definitely Germany. 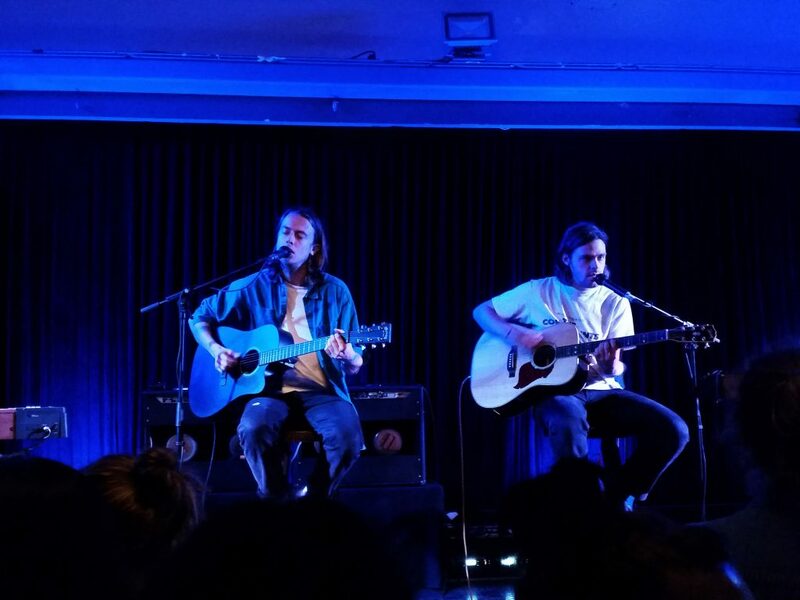 Beach Baby, supporting Glass Animals at Berghain Kantine Berlin. What is the hardest part about being a young band in the music industry? Lawrence: The music industry. (laughs) Being a band doesn’t guarantee you lots of money anymore. Ollie: Yeah, there’s not so much money as there was around. I mean, that’s such a lousy answer… but it makes things a bit hard. That’s the only drag. Lawrence: That’s really tricky. Apart from that, it’s really fun. Ollie: Just think about it, 15 years earlier we may not have any more success, but our lifestyle would have been easier. They would have been able to give us more money to look after ourselves, but labels can’t take any risks nowadays. It’s harder to do the exact same thing people did ten years ago. Is there anyone you would really like to tour with? Ollie: Neil Young. Only cause you can watch his show every night and never get bored. He changes his show all the time. He probably wouldn’t ever talk to you. Doesn’t matter! Cause the gig would be so good. He would play different songs every night, never play the same song twice. He’s amazing. If you could live inside a movie, which one would you pick? Ollie: Dumb and Dumber. They get rich, man! They get rich. The briefcase full of money… you get to go to the Rockys… think about the lifestyle! It’s the 90s, you’re in America, you get to go to Colorado, man… you have a briefcase full of money, they have great times. You’ve got your best mate with you, it’s you and your best mate on a trip to the Rockys with a briefcase full of money in the 90s in America! It’s a dream come true! Lawrence: Let’s stick with that one, I can’t top that. Anyway, you wouldn’t wanna be in good movies. Wild West, it’s horrible. War movies are obviously horrendous. Ollie: I’d go for a romantic comedy. They generally end quite well. Or like… Fear and Loathing in Las Vegas. That would make such a good band answer, man. Ollie: L.A. Woman by The Doors. I think that song would just be a really cool person, cause it’s a very cool song. This song is basically the song version of Jim Morrison, it’s even got his name as an anagram in it. Mr Mojo Risin… It’d be cool to meet Jim Morrison. Lawrence: He’s not a very showy person to meet, but I’d like to meet the stranger in Leonard Cohan’s “The Stranger Song”. A very enigmatic figure. What would he be like? Ollie: He’d probably be very quiet. Maybe he’d be really boring. (laughs) What about Take A Walk On The Wild Side? You’d probably have lots of fun with that one. Ollie: I’d like to think I’d say Star Wars, but I know deep down I’m more a fan of Harry Potter. If you could be in a boy band for one day, which one would you choose? Backstreet Boys, One Direction or Take That? Both: Take That. Easy one. Which three songs should be part of every roadtrip soundtrack? Ollie: “Wasn’t Born To Follow” by The Byrds. Lawrence: “Born To Be Wild”. Lawrence: Well, let’s choose a third! Ollie: “If 6 was 9” by Jimi Hendrix. Is there a question you’ve always wanted to answer in an interview but no one ever asked you? Ollie: No. Somebody asked me that earlier and I couldn’t think of anything that I wanted to be asked in an interview. Not that I don’t wanna be asked questions, but there’s nothing specific. I’m more interested in what people wanna know!